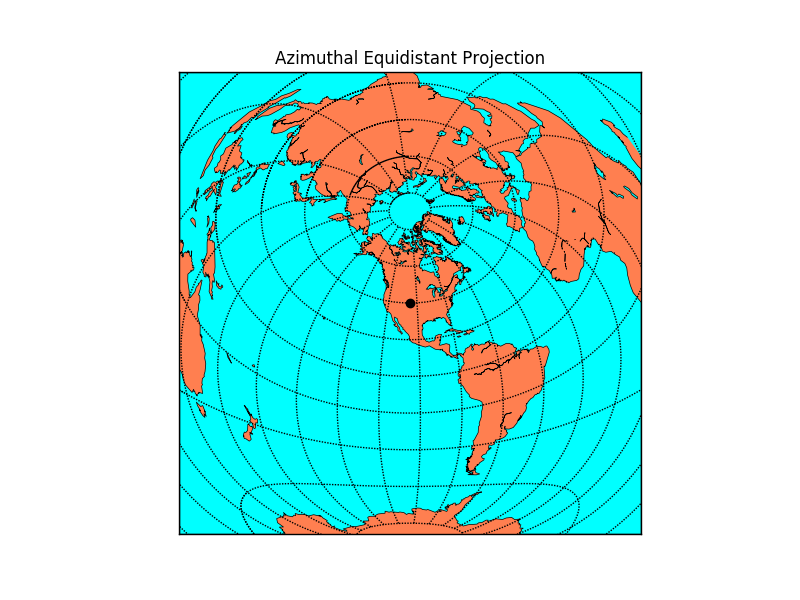 The shortest route from the center of the map to any other point is a straight line in the azimuthal equidistant projection. 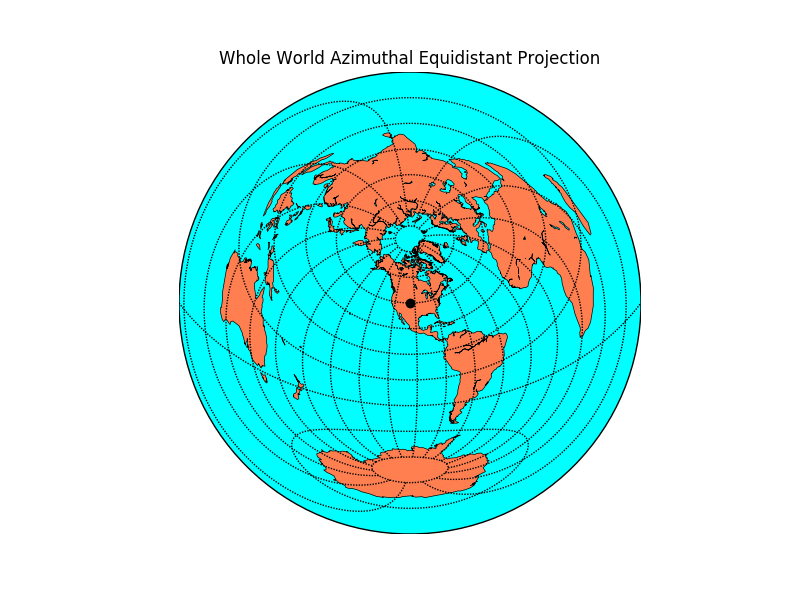 So, for the specified point, all points that lie on a circle around this point are equidistant on the surface of the earth on this projection. The specified point lon_0, lat_0 shows up as a black dot in the center of the map. Here’s an example using the width and height keywords to specify the map region. # draw coasts and fill continents. # draw a black dot at the center. If both the width/height and corner lat/lon keywords are omitted, the whole world is plotted in a circle.